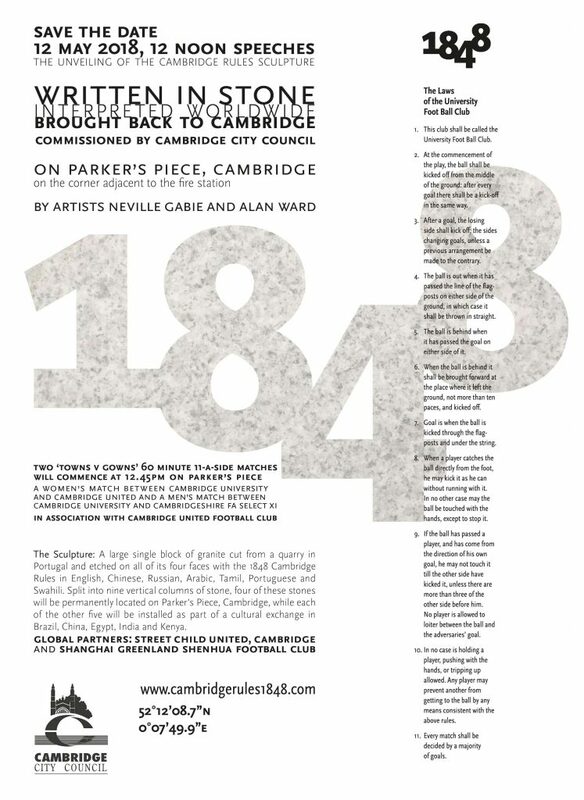 We’re delighted to announce that our eagerly awaited sculptural piece marking the birthplace of football as we know it today will be unveiled at Parker’s Piece in Cambridge on Saturday 12th May at noon – and we’d love you to come and see it. There will also be an opportunity to watch two special games of football, pick up a commemorative newspaper and meet the artists Alan Ward and Neville Gabie. 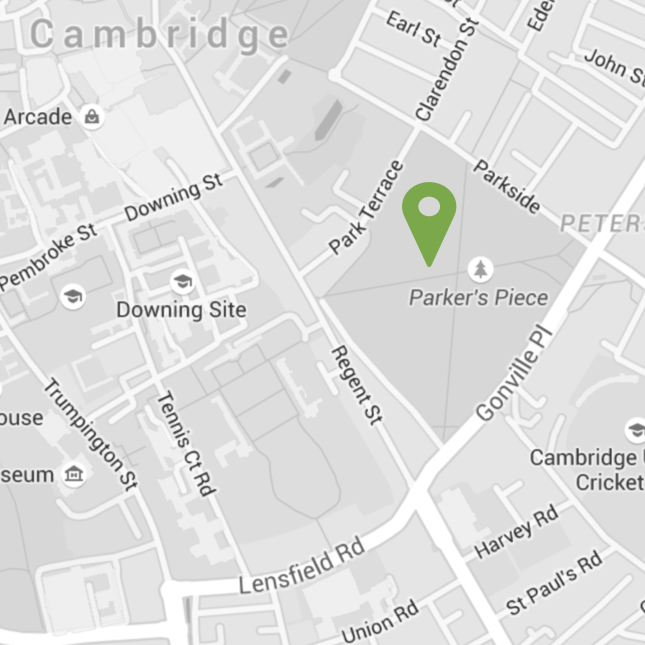 The sculpture – which is inscribed with the original Cambridge Rules in many different languages – will be officially revealed at noon on the corner of Parker’s Piece by Parkside and Mill Road. It’s part of an exciting day of celebrations on Parker’s Piece which will also include two ‘town vs gown’ football matches in association with Cambridge United Football Club and Community Trust, featuring women’s teams from Cambridge United and the University of Cambridge and a men’s match between a Cambridgeshire FA Select XI and the University of Cambridge. Organised 11-a-side matches are very rare on Parker’s Piece so it will be fantastic to see games of football played on the very patch of ground where the sport’s rules were formalised. There will also be a free commemorative newspaper to pick up. 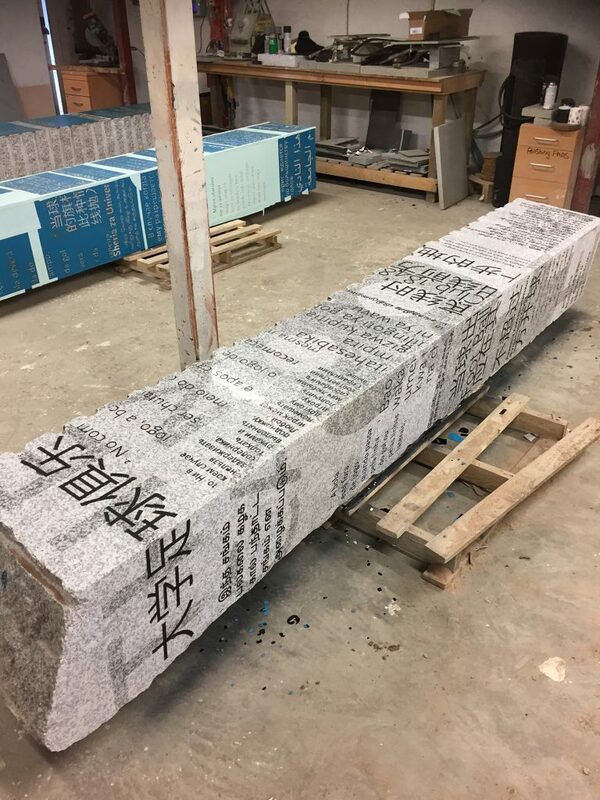 It will tell the story of the commission, the work of our global partners Street Child United and Shanghai Greenland Shenhua Football Club, and also explore the journey of both the four stones to Cambridge and the five others which will travel to Brazil, Kenya, China, India and Egypt. Meanwhile some large-scale photography documenting football from around the world will be installed on Parker’s Piece for one day only. So please join us to celebrate the unveiling of Cambridge Rules 1848.